License plates are scanned at the bowser and within seconds alerts the operator on an iPad that the motorist is a known offender and should prepay. Scancam takes care of the debt recovery process, pursuing offenders to collect the unpaid amount, which will be deposited into your account. 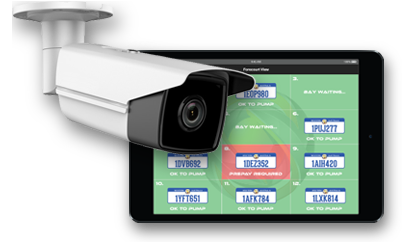 Scancam is the only system that deters the opportunist with live digital customer facing licence plate displays. 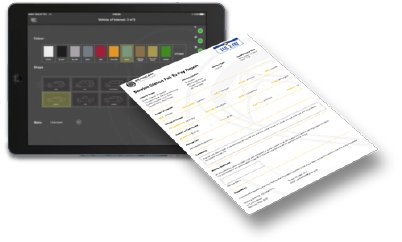 If drive off without paying occurs, the Scancam system generates an incident report in a few simple steps, including video footage requiring little management. 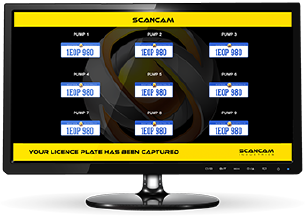 Scancam has identified the latest in camera technology and is powered by one of the worlds most advanced optical character recognition engines delivering accurate licence plate capture day and night. Recordings are in HD clarity, which is uncontestable. Scancam assists you to keep your key personal on the floor with your customers. The automated report process requires minimal management follow up and includes the video footage of the incident in the report for you. There is no need to waste time searching for event footage and burn a disc. 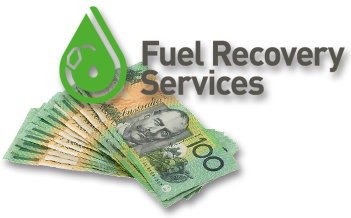 Scancam is partnered with Fuel Recovery Services, a debt collection agency that handles the debt recovery process for you. There are no additional fees or time required from your business. Recovery of lost revenue covers the costs of the system and recovered funds are deposited directy into your bank account. We respect your rights to privacy under the Privacy Act 1988 (Cth) (Act) and, to the extent required by the Act, we comply with all of the Act’s requirements in respect of the collection, management and disclosure of your personal information. information related to use of fuel services offered by fuel retailers. We collect personal information directly from individuals about whom the information relates unless it is unreasonable or impracticable to do so. When we collect information that relates to fuel obtained from fuel retailers, we may obtain that information directly from the fuel retailer, or may obtain that information from any Scancam CCTV technology installed at the fuel retailer’s premises. Where such information is obtained using Scancam CCTV technology, it may be recorded in the form of a video or audio recording. We may obtain personal information from government departments by court order. This information is usually limited to the name and address of the registered owner of a vehicle involved in taking fuel without paying for it. The registered owner may then supply us with the name and address of the driver of the vehicle at the time of the incident. when a person completes a form which is provided to us. In some circumstances a person may need to provide personal information about third parties (e.g. when making a purchase with someone else’s credit card details). When this occurs, we rely on the person giving the information to inform the third party that they are providing the personal information to us and to advise the third party that we can be contacted for further information. We may also collect personal information from third parties including third party companies such as credit reporting agencies, debt collection agencies, law enforcement agencies and other government entities. For what purposes do we collect, hold, use and disclose personal information? any other purposes identified at the time of collecting personal information. To whom do we disclose personal information? We may combine or share any information that we collect with information collected by any of our related bodies corporate (within Australia). On some occasions, we may also be required by law to disclose your personal information. This may include disclosure to a court or government authority, e.g. as a result of a court order or statutory notice pursuant to any legislation. If we have obtained your personal information from a government authority, we will only use that information to contact you to determine whether to commence proceedings in relation to unpaid fuel, and to commence proceedings if necessary. We are not permitted to and do not use the information for any other purpose. You may request access to any personal information we hold about you at any time by contacting us using the contact details below. Where we hold information that you are entitled to access, we will try to provide you with suitable means of accessing it (for example, by mailing or emailing it to you). We may charge you a fee to cover our administrative and other reasonable costs in providing the information to you. We will not charge you for simply making the request and will not charge you for making any corrections to your personal information. There may be instances where we cannot grant you access to the personal information we hold about you. For example, we may refuse access if granting access would interfere with the privacy of others, if it would result in a breach of confidentiality or if the requested information relates to legal proceedings. If that happens, we will give you written reasons for any refusal. If you believe that your privacy has been interfered with, please contact us using the contact details below and provide details of the incident so that we can investigate it. Do we disclose personal information to anyone outside Australia? No, we do not disclose your personal information to anyone outside of Australia. We take reasonable steps to ensure your personal information is protected from misuse and loss and from unauthorised access, modification or disclosure. We may hold your information in either electronic or hard copy form. Personal information is destroyed or de-identified when no longer needed. We will treat your requests or complaints confidentially. Our representative will contact you within a reasonable time after receipt of your complaint to discuss your concerns and outline options regarding how they may be resolved. We will aim to ensure that your complaint is resolved in timely and appropriate manner.